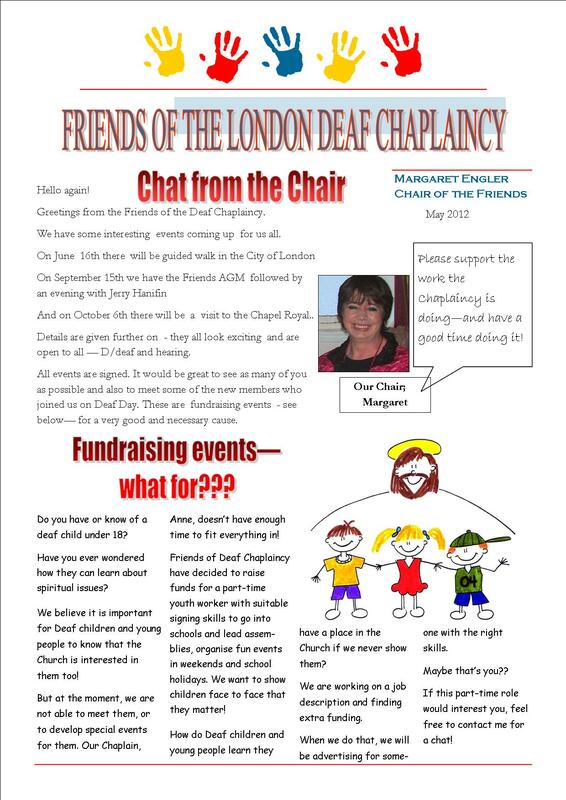 The Chair of the Friends of the Deaf Chaplaincy is pleased to send you a newsletter! You can download it from FRIENDS page, click HERE. See what we’re fundraising for. If you would like to give to the Friends regularly, you can now do so with a Standing Order. Forms can be downloaded on the FRIENDS page. See what new events are taking place. Book YOUR place by using the form and send for your tickets now.